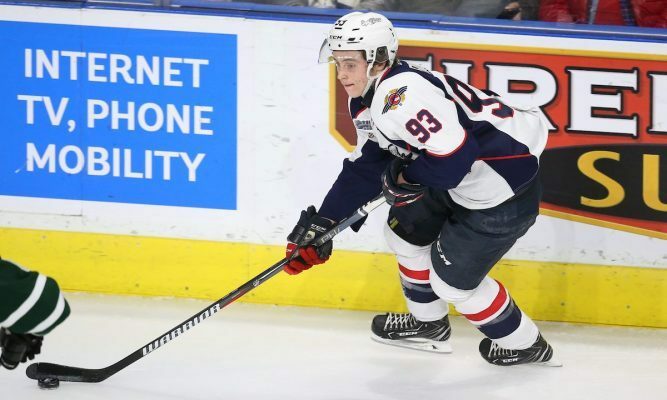 The Windsor Spitfires dropped a 4-1 decision to the Saginaw Spirit in OHL action on Thursday. Saginaw kicked off scoring with a goal 12:57 into the first period and then added another 10:02 into the second for a 2-0 lead. Jean-Luc Foudy put Windsor on the board with a goal 1:13 into the final period, but the Spirit added another two goals before the end of the frame to ensure their win. Spitfires goaltender Kari Piiroinen made 24 saves out of 28 shots on net.